Update 1/10/13: It runs and stops. Hurray – let’s put it back on eBay. Starting price is now $13,000. It’s not a Veloce, it’s rusty (if you look closely at the underside pictures you can see finger trails where someone took a bathroom caulk approach to pushing filler into rusty areas before undercoating the thing) and unless you have a complement of attributes seldom found in one single person, it will be a confounding factor in your life. Serious garage action here. rear end sits really high -stuff must be frozen under there. One is forced to concede improvements have occurred. 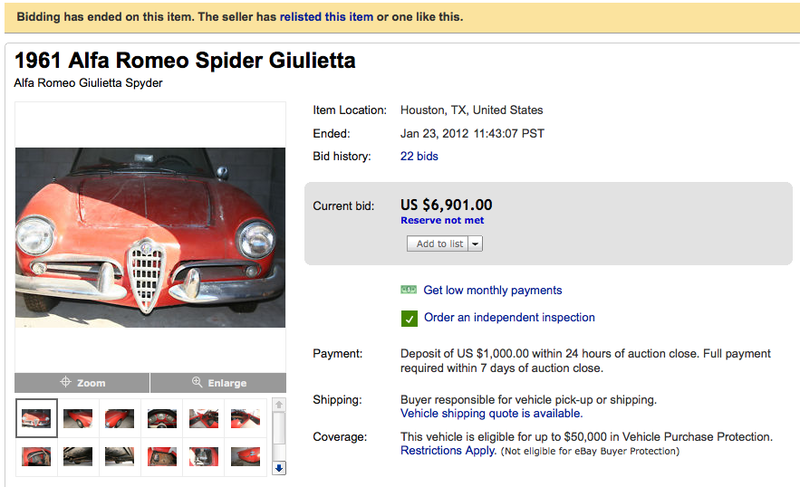 Update 2/5/12: This car is doing another tour of eBay -in what will likely be a decaying series of ending prices. The last result of $6901 was pretty reasonable for a scruffy, loosely assembled project with the wrong motor. Update 1/24/12: Close maybe, but no sale. Update 11/13/12: This guy has turned up on eBay out of Arizona. Fancy that – the auction is starting at $45,000. Still a nice car. Red, tidy and ready for action. Door shut lines are almost invisible. Hood fits better than usual. It really doesn’t look like a bad car and I understand that where there’s a buck to be made it will be made, but at least rattle-can that rust spot on the front wheel so we get the sense that some work has been done to earn the mark-up. Update 5/1/10: 23 bids pushed the price up to $14,100 but the reserve was not met. I wouldn’t have sold it for that either. What’s fair for this car? The market will eventually decide, but my opinion is somewhere between $16k and $18k, maybe a little more if it’s better in person than the pictures, but that’s not usually the case. 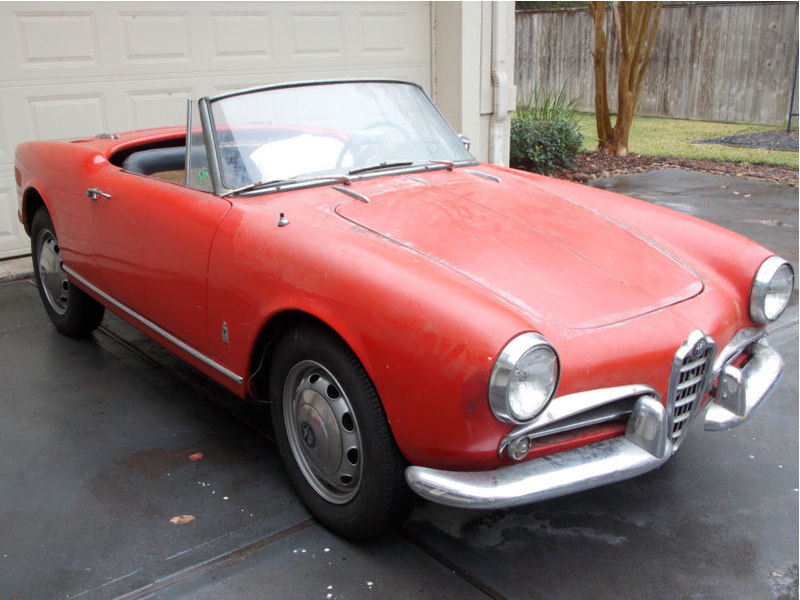 I think the appearance of another early 750D in slightly better shape derailed this auction a bit. 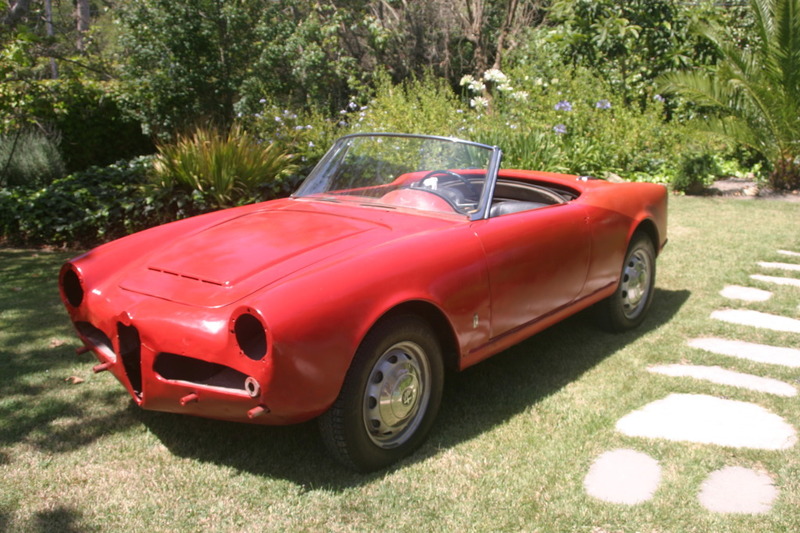 List it again after an eBay Giulietta Spider dry spell but before the Monterey weekend Alfa 100 year celebrations and things should go well. 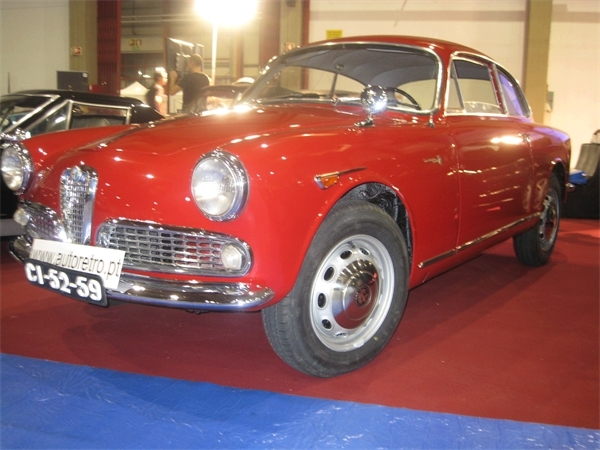 Giulietta Spider 750D 1493*01503. 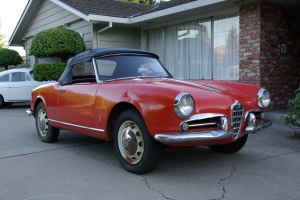 This car is on eBay right now out of Northridge Ca. 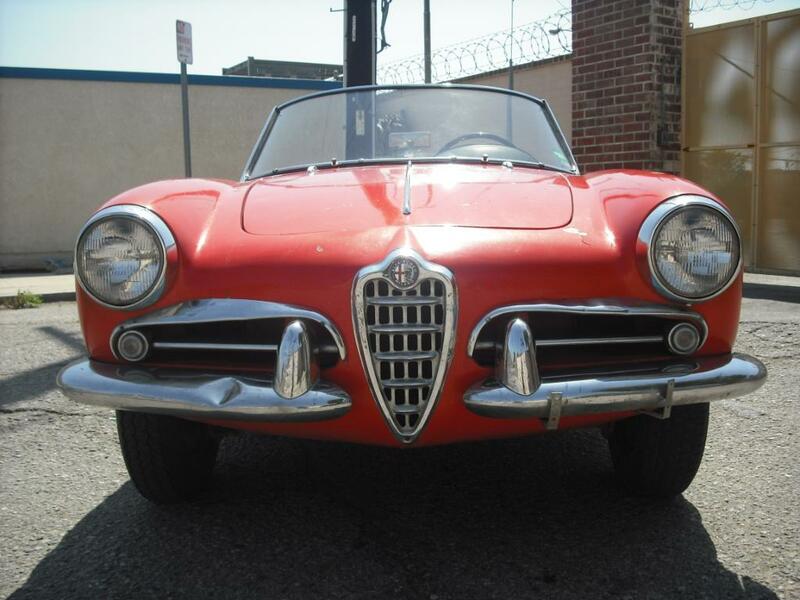 Seller is pretty well known in the Alfa world and a straight shooter as they say. 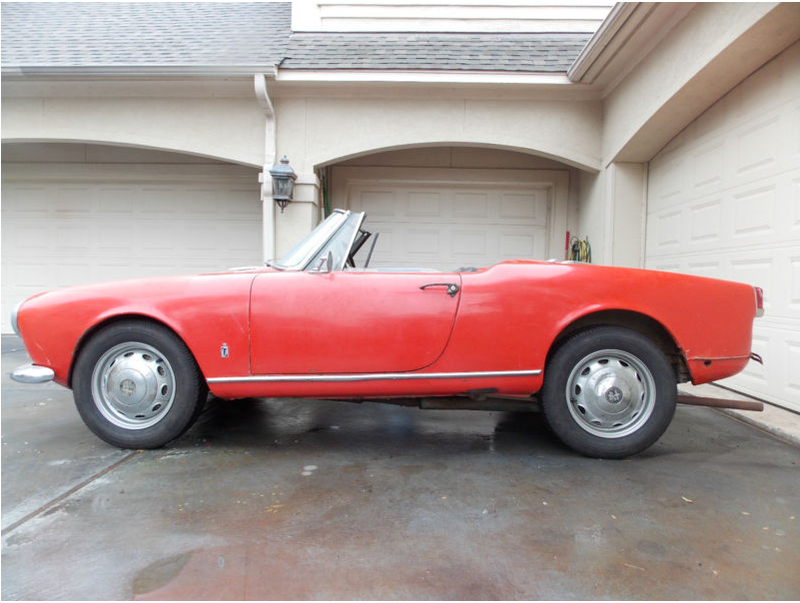 Car was on Craigslist not long ago… can’t remember when or where exactly but I think in 2010 and I think in Colorado for I think about $15K. 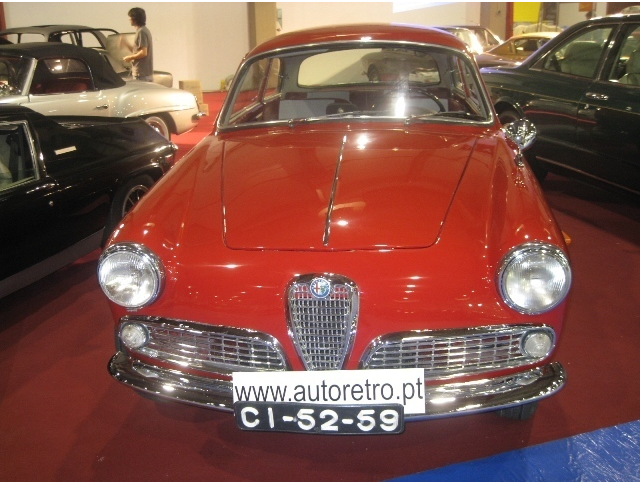 If you are looking to restore an early one in the rolling restoration style then this is your car to start with! Very nice and straight other than a bump in the bumper. Hood fit is not quite right on the passenger side but not terrible or anything. Update 7/1/10: This Spider finds itself back on eBay after a few weeks vacation in Santa Barbara. 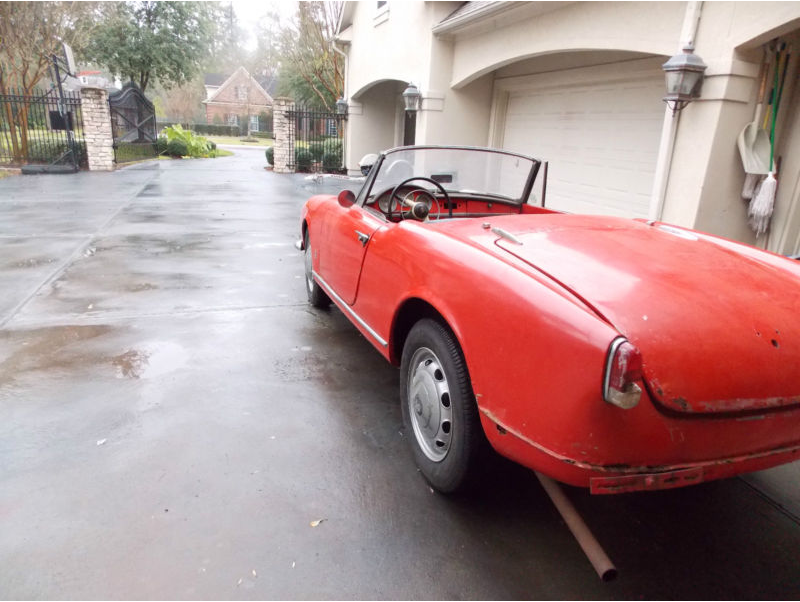 Assuming the full price of $12,850 was paid and it was shipped out to California -I will guess the new reserve is about $14,000 -a tough sell but may be doable. Looking about the same as before. Update 5/10/10: I should get paid to do this. As I predicted it sold for slightly more than the AlfaBB asking after a run through eBay. $12,850 with 30 bids. Well Sold and if the engine is put together competently well bought. 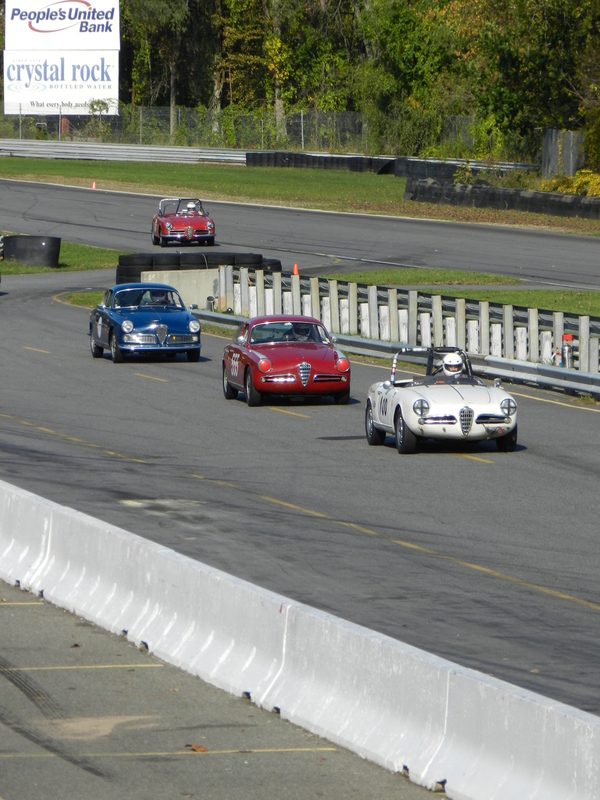 Update 5/3/10: This car is now on eBay which means there is a finite amount of time before it is sold. That’s the beauty of eBay -unless you screw it up by starting too high or having an unrealistic reserve, your car is going to sell. A little leg never hurt a picture of a car. 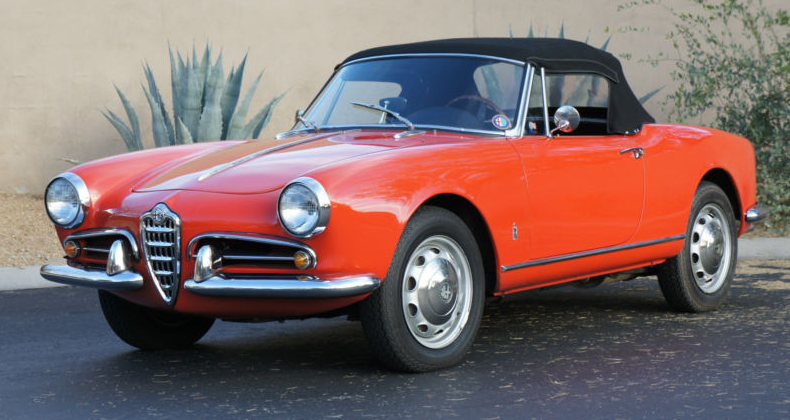 Giulia 1600 Spider 10123*372577, 00112*00584. 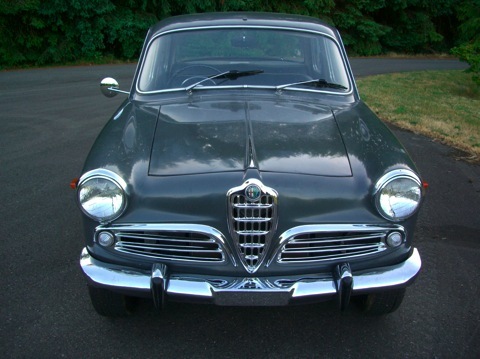 This car is available for $12,500 out of Arlington VA of on the Alfa BB. 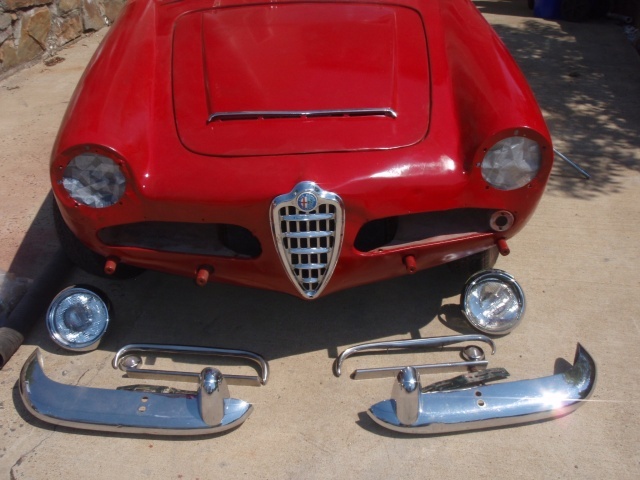 Seller is a well known AROC guy who has several other Alfas and seems to know his stuff where these cars are concerned. Car is a runner/driver and, while quality paint before reassembly seems like a good idea, one could probably just throw it together and start using it if cosmetics were not an issue. Nose has been replaced but doesn’t look too bad here. Would be a decent ‘driver’ quality car if all this trim was bolted on.